For every vehicle sold during the month of September, CMA’s Richmond dealerships made a donation to the ASK Childhood Cancer Foundation, which supports local children and their families as they undergo cancer treatment. Effective October 1st, Ben St. Ours will be promoted to the role of General Manager of CMA's Valley Honda. "For Liza Borches, CEO of Carter Myers Automotive in Charlottesville, Va., and other dealers now in their 40s, the Great Recession was a painful lesson in how to navigate a dramatic economic downturn. It's one they have vowed not to forget." CLICK to read the full article from Automotive News. CMA and CMA's Heritage Chevrolet partnered with Mason's Toy Box to give a pediatric brain cancer patient her first car! 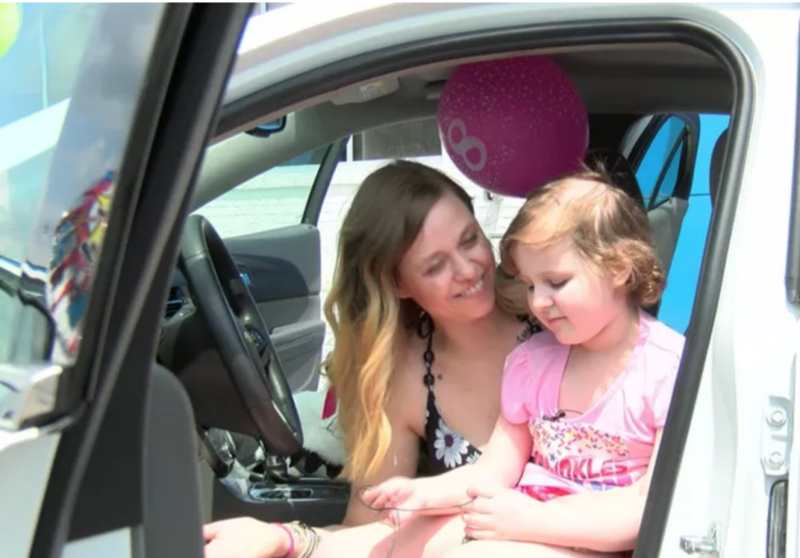 Sawyer Perkins's 8th birthday was Friday, July 13, and she and her mother celebrated with a brand new Chevrolet. A car? For an 8 year old? 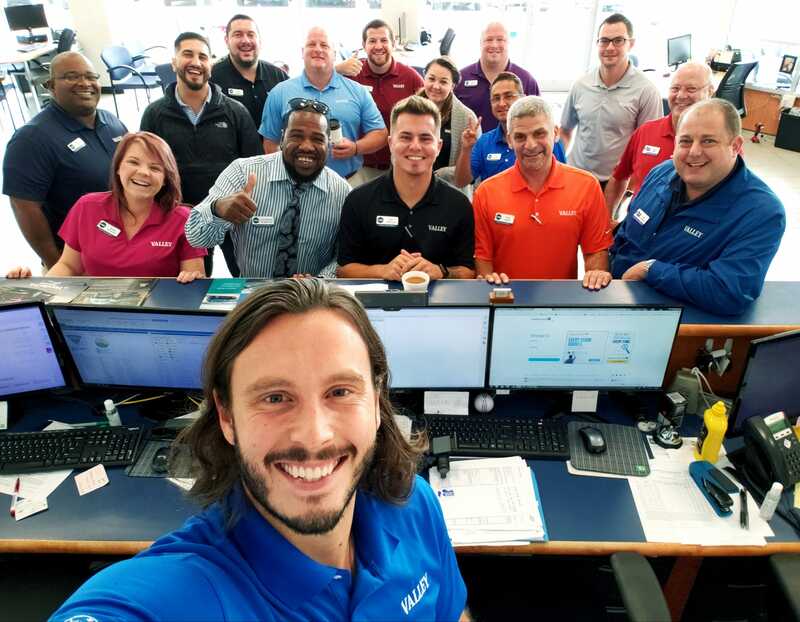 For the second year in a row, Carter Myers Automotive has been named one of the “Top Workplaces” in the Richmond area! Both CMA Honda stores, CMA's Colonial Honda near Richmond and CMA's Valley Honda in Staunton, participated in the 2018 Honda Week of Caring. Colonial Honda team members were in Petersburg to clean up the gardens and lot around the River Street Market. Valley Honda team members worked with the Staunton-Augusta YMCA to clean, organize and otherwise spruce up their facility. CMA's Colonial Nissan has begun construction on a one-of-a-kind solar superstructure atop their building on Route 29 in Charlottesville. The unique project will have a roof consisting of 480 solar panels, which will produce over 214,000 kWh annually and will generate 93% of the electricity needed to power the dealership. CMA's Colonial Honda associates, family, and friends came together for the Ask Childhood Cancer Foundation 5k and Fun Walk. Our team was so enthusiastic cheering on the many Kourageous Kids that we won the Most Team Spirit award! CMA's Colonial Subaru presented a check for $14,902.01 to FeedMore, which helps nearly 200,000 children, families and seniors in Central Virginia who struggle with hunger. It's the second year in a row CMA's Colonial Subaru has chosen FeedMore as the local charity benefactor for our "Share the Love" campaign. "Share the Love" is a national Subaru campaign to benefit local charities and non-profits.